Como bien decíamos ayer, ¡el turno ha empezado muy fuerte! Un primer día intenso en el que los alumnos se han estrenado en el programa de English Alive, una cosa nos ha quedado clara: no han parado. Entre batallas de vikingos, pruebas de sentidos y la elaboración de un diario de bordo, los alumnos pudieron empezar a conocer a todos sus compañeros y soltarse en inglés. El día empezó con 3 horas de dinámicas en inglés, durante la hora del patio, los alumnos nos contaban emocionados todas actividades que habían realizado. Los profesores también quedaron muy contentos con la participación de los alumnos. Comimos por turnos, cada grupo de monitor acompañado por su workpair, su teacher adjunto. Unos se contaban el verano mientras los otros discutían de deportes. Tras otra horita de inglés, ¡los niños se cambiaron todos para irse a la piscina! Se mojaron, se tiraron, se divertieron, antes de conocer por primera vez a sus equipo de Olympics. Tuvieron un team meeting en el que crearon un himno, e hicieron ejercicios de integración grupal con su equipo. Se les veía a todos muy emocionados por la competición y ya lo dieron todo por su equipo en una primera gíncana. 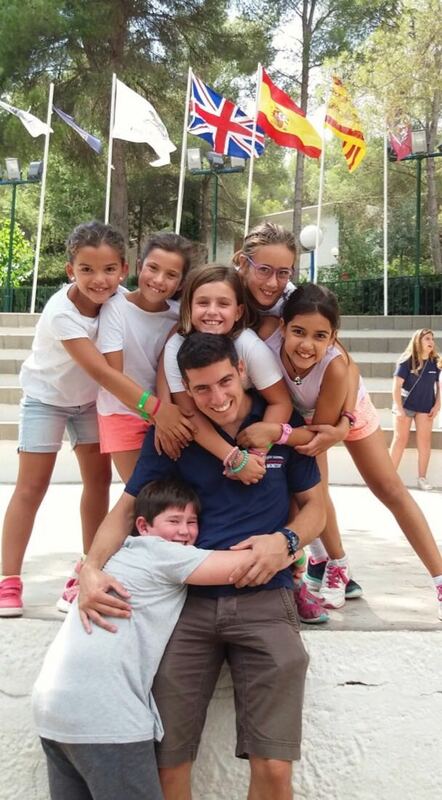 A las 20h, nos despedimos de la mayoría de los alumnos DAY CAMP, que se tendrían que esperar hasta el día siguiente para más aventuras en los campamentos. Los demás se fueron a cenar y a preparar para la actividad de la noche: The Guardians of Tamarit! Después de cenar, reunimos a todos los alumnos a la pista de handball para explicarles la dinámica nocturna, ¡que no podría haber salido mejor! Los niños tenían que ir de un punto A a B sin ser vistos por los guardianes, monitores con linternas que hacían movimientos periódicos. 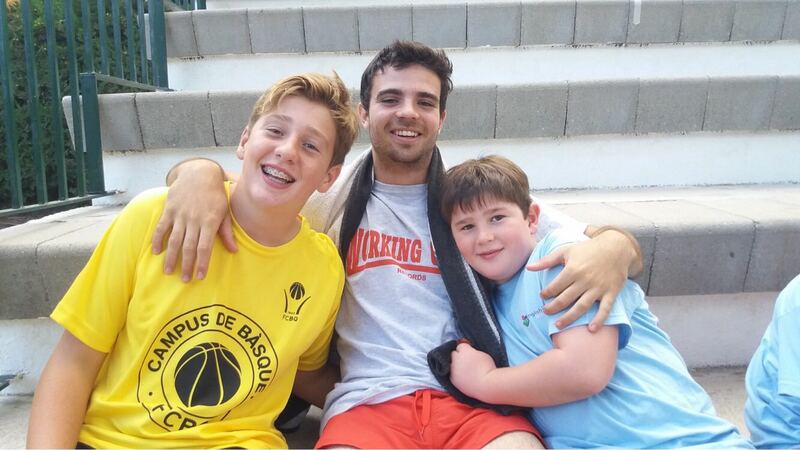 Aunque costó mucho que los niños pasaran, consiguieron llegar hasta la meta gracias a su trabajo en equipo. El juego tenía el objetivo de enseñarles la importancia de la comunicación y la necesidad del trabajo en equipo para conseguir un objetivo común. Cada grupo de niños iba acompañado por un monitor, tanto los niños como los alumnos disfrutaron muchísimo de la actividad. 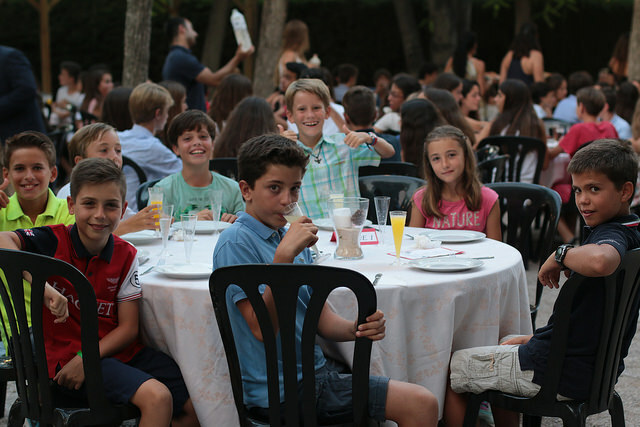 Agotados y después de unos bailes en el escenario, los niños se fueron a dormir pensando en las aventuras del día siguiente. ¡Hasta mañana con más noticias frescas desde Tamarit! Recordad que subimos todas las fotos al área de clientes. 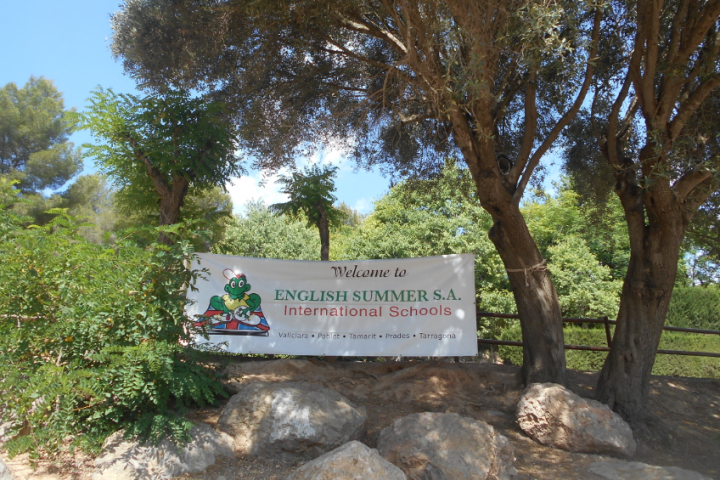 También podéis seguirnos en las cuentas oficiales de English Summer de Facebook, Twitter y Instagram. As we were saying yesterday, the term started vey hard! Yesterday was the first intense day in which the students discovered the English Alive program, and we clearly noticed something: they were on fire! Between Viking battles, senses exercices and the elaboration of a board diary, the students could practice their english and meet all their classmates. The day started with 3 hours of english dynamics, during break time, the children told to us, very excited, all the activities they had done. The teachers were also very happy about the participation of the students. We had lunch by terms, each monitor followed by their workpair, their associate teacher. Some were talking about their summer, while the others were discussing about sports. After another hour of class, the kids changed into swimwear and went to the pool! They got wet, they jumped into the pool and they had fun, right before meeting for the first time their Olympics teammates. They had a team meeting, they composed the national Anthem, and did exercises of team building. They were very excited for the competition and they could already show it performing a tresor hunt for their teams. At 8pm, we said goodbye to the majority of the DAY CAMP students, that would have to wait until the next day for more adventures in the summercamp. 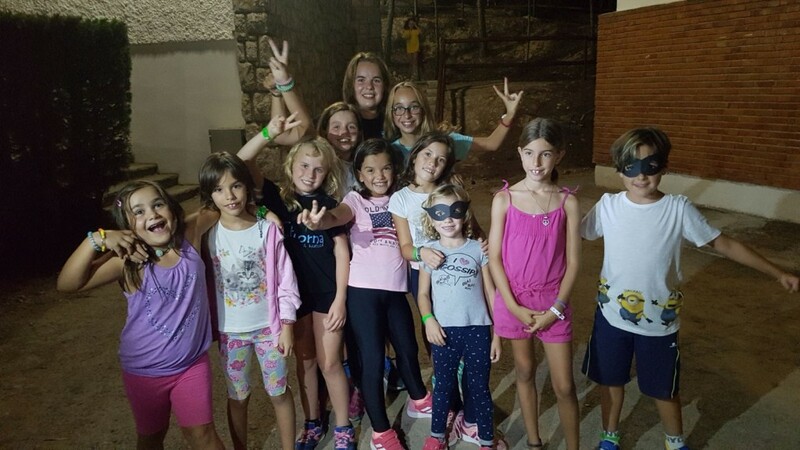 The rest of the kids had dinner and got prepared for the night activity: The Guardians of Tamarit! After dinner, we gathered all the students at the handball picth and explained the nocturnal dynamic, it couldnt have gone better! The students had to go from point A to B without being spotted by the guardians, monitors with a lamp torch that did periodic moves. It wasn’t easy, the children managed to get to the final point thanks to team work. The game had the objective of showing them the importance of comunication and team building in order to get to common objectives. Each group of pupils went with a monitor, both the kids and the adults enjoyed fully the activity! Exhausted and after a few dances on stage, everybody went to bed thinking of the adventures to come. See you tomorrow with fresh news from Tamarit! Don’t forget we upload all the pictures in the customer area. You can also follow us on our Facebook, Twitter and Instagram accounts. The last but not the least: WELCOME 6T! Rocking the Roll of Tamarit! 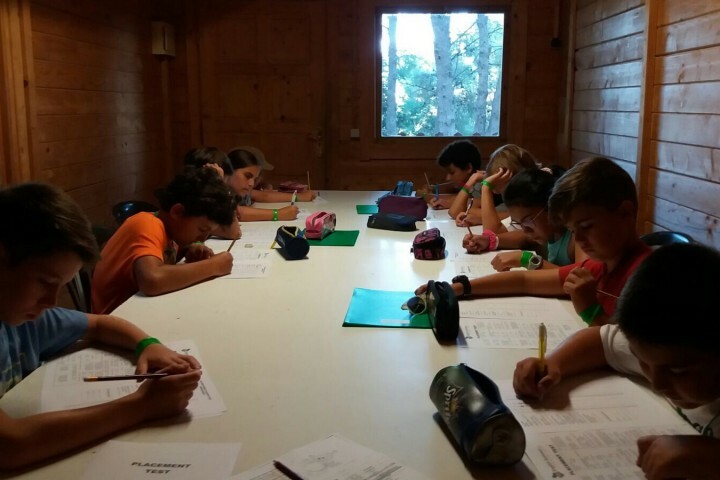 ¿Preparados para el mejor campamento de inglés? ¡¡¡Tamarit se viste de gala!!! The term is starting… Welcome 5T! FORMAL DRESS & TALENT SHOW NIGHT!!! HAAA!!! THE ROMANS ARE BACK!! !